Tilting Cooling Plate Supplier In India: We are the largest making “Tilting Cooling Plate” Manufacturer from India. Withstanding the strong market competition, we have developed a distinctive name for us in this industry for manufacturing and exporting Tilting Cooling Plate. These Tilting Cooling Plate have integrated eight cooling staggered chambers for the purpose of cooling. Our offered Tilting Cooling Plate are quality tested on several industry set parameters before the final dispatch. This Tilting Cooling Plate is available for the customers in different capacities, sizes and specifications, in accordance with the customers' demands. Manufacturer Of Tilting Cooling Plate In India: We are the largest making “Tilting Cooling Plate” Manufacturer from India. Withstanding the strong market competition, we have developed a distinctive name for us in this industry for manufacturing and exporting Tilting Cooling Plate. These Tilting Cooling Plate have integrated eight cooling staggered chambers for the purpose of cooling. Our offered Tilting Cooling Plate are quality tested on several industry set parameters before the final dispatch. This Tilting Cooling Plate is available for the customers in different capacities, sizes and specifications, in accordance with the customers' demands. Tilting Cooling Plate Manufacturer In India: We are the largest making “Tilting Cooling Plate” Manufacturer from India. Withstanding the strong market competition, we have developed a distinctive name for us in this industry for manufacturing and exporting Tilting Cooling Plate. These Tilting Cooling Plate have integrated eight cooling staggered chambers for the purpose of cooling. Our offered Tilting Cooling Plate are quality tested on several industry set parameters before the final dispatch. This Tilting Cooling Plate is available for the customers in different capacities, sizes and specifications, in accordance with the customers' demands. Features of Tilting Cooling Plate: Excellent cooling effect Easy to use Durable construction Tilting Cooling Plate Cooling Plates are consists of fabricated structure having integrated eight cooling staggered chambers for cooling. As the tapped water passes through chambers the hot mass of Candy or Toffee mixture gets cooled which is spread on cooling Plate. The Cooling effect is controlled by reducing or increasing the flow of water. In Tilting Cooling Plate, the second face of the Cooling Plate can be utilized for speedy cooling effect by tilting the plate alternatively by 180*. Stoppers are provided for resting the Cooling Plate face on which mass is spread after cooking. Pellet Making Machine Manufacturer In India We are the largest making “Pellet Making Machine” Manufacturers from India.Our Pellet Making Machine are suitabe for preparing animal feed, poultry feed, rabbit feed, cattle feed, floating fish feed. Pellets of uniform diameter are prepared by compressing the raw materials under high pressure.we are engrossed in manufacturing and exporting Pellet MakinMachine. These Pellet Making Machine are engineered understanding the variegated requirements of the market. Our offered Pellet Making Machine is equipped with premium quality components, which are procured from the reliable vendors of the market. The offered Pellet Making Machine is available for the customers in different sizes and specifications, so as to suit their varied demands. Features Of Pellet Making Machine: Fine finishing Rugged construction Easy to operate Pellet Making Machine We are one of the pioneer Pharmaceutical Machinery Manufacturers from India, We manfuacter Pallet Making Machine, which is called Extruder, from the extruder small sticks are achieved. Which are further put into sperodiser for achieving pallets, which are used for drug layering of sustained release products. TechnicalOfferOf Pellet Making Machine :The product to be converted is prepared in the form of a dough with binder/moisture, and is feed in the Extruder. The die roller design of extruder operates with two rolles. One is the Knurling (pressing) roller and other is the die roller. The perforation size of the roller decides the size of the needle / granules & hence the size of Pellets to be formed. The size of the extrusions that come out are finite length with the help of a adjustable cutter attached. The twin screw design of extruder operates with a set of conveying screens which transfer the material to the pressing cams which further press the material to a particular size of mesh. The size of the noodles is decided from the size of the Die mesh fixed. The spheres obtained from the twin screw design has lesser bulk density compared to pellets produced by the roller design extruder. In other words the compressional forces that act in a die roller design extruder are for more than the other resulting in compact and DENSE pellets. It again depends upon applications & product chooses the correct machine for the optimum utility. Technical Specification Of Pellet Making Machine'. Model Output (Kgs/Qa) Motor HP Die Roller Perf RDETD 65 (lab) 2-4 1 0.8-3 RDETD 65 10-15 1.5 0.8-5 RDETD 65 (Extended) 15-25 2 0.8-5 RDETD 100 50-90 5 1-7.5 RDETD 130 200-300 7.5 1.5-10 RDETD-60 20-30 2 0.6-5 RDETD-100 60-100 5 0.6-7.5 RDETD-130 250-350 7.5 0.6-10 ..
Pharma Pellet Making Machine Manufacturers Pellet Making Machine Manufacturer In India.. We are the largest making “Pellet Making Machine” Manufacturers from India.Our Pellet Making Machine are suitable for preparing animal feed, poultry feed, rabbit feed, cattle feed, floating fish feed. Pellets of uniform diameter are prepared by compressing the raw materials under high pressure.we are engrossed in manufacturing and exporting Pellet Making Machine. These Pellet Making Machine are engineered understanding the variegated requirements of the market. Our offered Pellet Making Machine is equipped with premium quality components, which are procured from the reliable vendors of the market. The offered Pellet Making Machine is available for the customers in different sizes and specifications, so as to suit their varied demands. Features Of Pellet Making Machine: Fine finishing Rugged construction Easy to operate Pellet Making Machine We are one of the pioneer Pharmaceutical Machinery Manufacturers from India, We manfuacter Pallet Making Machine, which is called Extruder, from the extruder small sticks are achieved. Which are further put into sperodiser for achieving pallets, which are used for drug layering of sustained release products. TechnicalOfferOf Pellet Making Machine :The product to be converted is prepared in the form of a dough with binder/moisture, and is feed in the Extruder. The die roller design of extruder operates with two rolles. One is the Knurling (pressing) roller and other is the die roller. The perforation size of the roller decides the size of the needle / granules & hence the size of Pellets to be formed. The size of the extrusions that come out are finite length with the help of a adjustable cutter attached. The twin screw design of extruder operates with a set of conveying screens which transfer the material to the pressing cams which further press the material to a particular size of mesh. The size of the noodles is decided from the size of the Die mesh fixed. The spheres obtained from the twin screw design has lesser bulk density compared to pellets produced by the roller design extruder. In other words the compressional forces that act in a die roller design extruder are for more than the other resulting in compact and DENSE pellets. It again depends upon applications & product chooses the correct machine for the optimum utility. Extruder and Spheronizer Making Machine Manufacturers Pellet Making Machine Manufacturer In India.. We are the largest making “Pellet Making Machine” Manufacturers from India.Our Pellet Making Machine are suitabe for preparing animal feed, poultry feed, rabbit feed, cattle feed, floating fish feed. Pellets of uniform diameter are prepared by compressing the raw materials under high pressure.we are engrossed in manufacturing and exporting Pellet MakinMachine. These Pellet Making Machine are engineered understanding the variegated requirements of the market. Our offered Pellet Making Machine is equipped with premium quality components, which are procured from the reliable vendors of the market. The offered Pellet Making Machine is available for the customers in different sizes and specifications, so as to suit their varied demands. Features Of Pellet Making Machine: Fine finishing Rugged construction Easy to operate Pellet Making Machine We are one of the pioneer Pharmaceutical Machinery Manufacturers from India, We manfuacter Pallet Making Machine, which is called Extruder, from the extruder small sticks are achieved. Which are further put into sperodiser for achieving pallets, which are used for drug layering of sustained release products. TechnicalOfferOf Pellet Making Machine :The product to be converted is prepared in the form of a dough with binder/moisture, and is feed in the Extruder. The die roller design of extruder operates with two rolles. One is the Knurling (pressing) roller and other is the die roller. The perforation size of the roller decides the size of the needle / granules & hence the size of Pellets to be formed. The size of the extrusions that come out are finite length with the help of a adjustable cutter attached. The twin screw design of extruder operates with a set of conveying screens which transfer the material to the pressing cams which further press the material to a particular size of mesh. The size of the noodles is decided from the size of the Die mesh fixed. The spheres obtained from the twin screw design has lesser bulk density compared to pellets produced by the roller design extruder. In other words the compressional forces that act in a die roller design extruder are for more than the other resulting in compact and DENSE pellets. It again depends upon applications & product chooses the correct machine for the optimum utility. 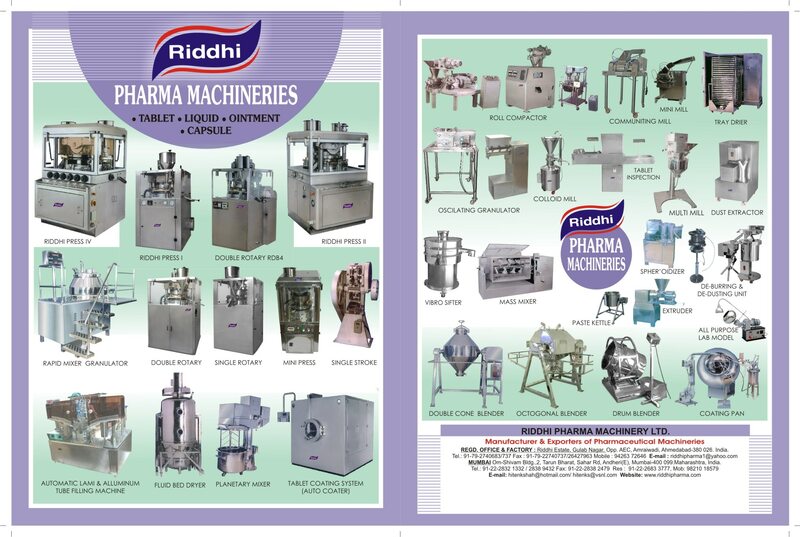 Pharma Pellet Making Machine Manufacturers Pellet Making Machine Manufacturer In India.. We are the largest making “Pellet Making Machine” Manufacturers from India.Our Pellet Making Machine are suitabe for preparing animal feed, poultry feed, rabbit feed, cattle feed, floating fish feed. Pellets of uniform diameter are prepared by compressing the raw materials under high pressure.we are engrossed in manufacturing and exporting Pellet MakinMachine. These Pellet Making Machine are engineered understanding the variegated requirements of the market. Our offered Pellet Making Machine is equipped with premium quality components, which are procured from the reliable vendors of the market. The offered Pellet Making Machine is available for the customers in different sizes and specifications, so as to suit their varied demands. Features Of Pellet Making Machine: Fine finishing Rugged construction Easy to operate Pellet Making Machine We are one of the pioneer Pharmaceutical Machinery Manufacturers from India, We manfuacter Pallet Making Machine, which is called Extruder, from the extruder small sticks are achieved. Which are further put into sperodiser for achieving pallets, which are used for drug layering of sustained release products. TechnicalOfferOf Pellet Making Machine :The product to be converted is prepared in the form of a dough with binder/moisture, and is feed in the Extruder. The die roller design of extruder operates with two rolles. One is the Knurling (pressing) roller and other is the die roller. The perforation size of the roller decides the size of the needle / granules & hence the size of Pellets to be formed. The size of the extrusions that come out are finite length with the help of a adjustable cutter attached. The twin screw design of extruder operates with a set of conveying screens which transfer the material to the pressing cams which further press the material to a particular size of mesh. The size of the noodles is decided from the size of the Die mesh fixed. The spheres obtained from the twin screw design has lesser bulk density compared to pellets produced by the roller design extruder. In other words the compressional forces that act in a die roller design extruder are for more than the other resulting in compact and DENSE pellets. It again depends upon applications & product chooses the correct machine for the optimum utility.